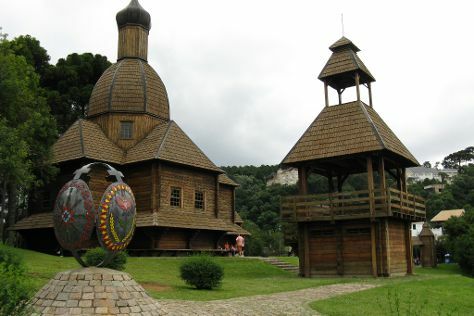 Ukranian Memorial and Santuario Tabor Magnificat will appeal to history buffs. Get a sense of the local culture at Museu Oscar Niemeyer MON and Centro Historico de Curitiba. You'll find plenty of places to visit near Curitiba: Fortaleza da Ilha do Mel (in Ilha do Mel) and Parque Estadual de Vila Velha (in Ponta Grossa). Next up on the itinerary: admire the landmark architecture of Metropolitan Cathedral, explore and take pictures at Estrada Da Graciosa, take in nature's colorful creations at Jardim Botanico de Curitiba, and make a trip to Bairro de Santa Felicidade. To see ratings, maps, more things to do, and other tourist information, go to the Curitiba vacation site . In March, daily temperatures in Curitiba can reach 28°C, while at night they dip to 20°C. Cap off your sightseeing on the 13th (Wed) early enough to travel back home.